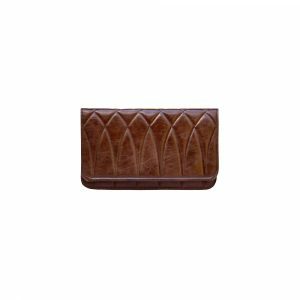 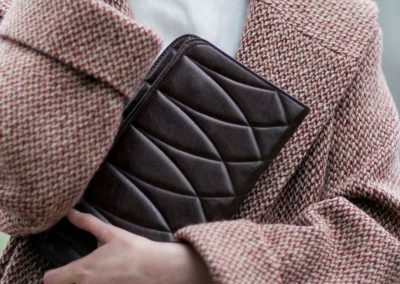 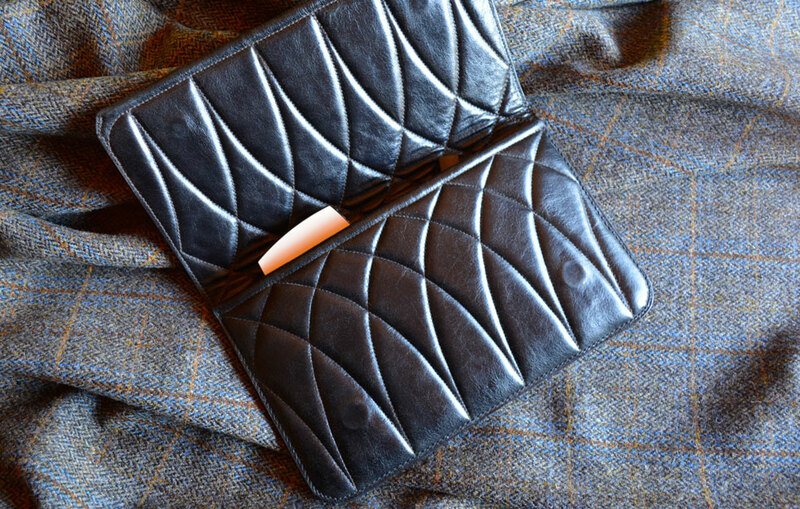 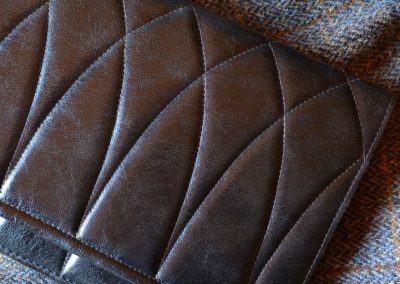 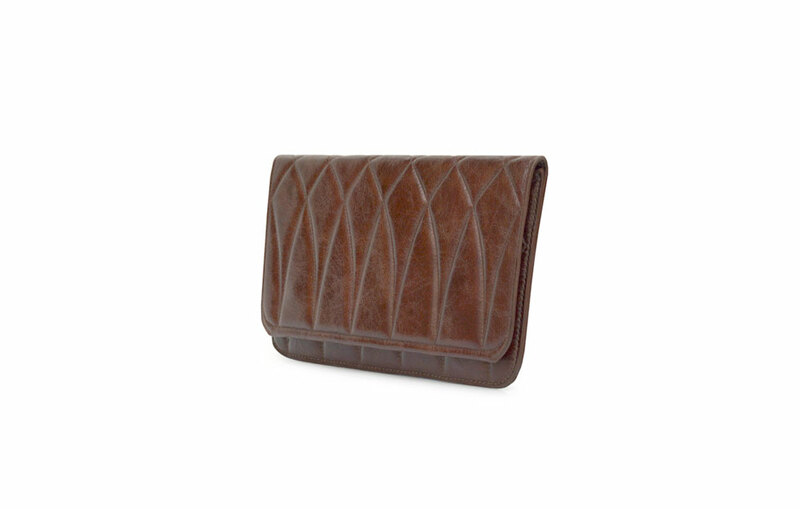 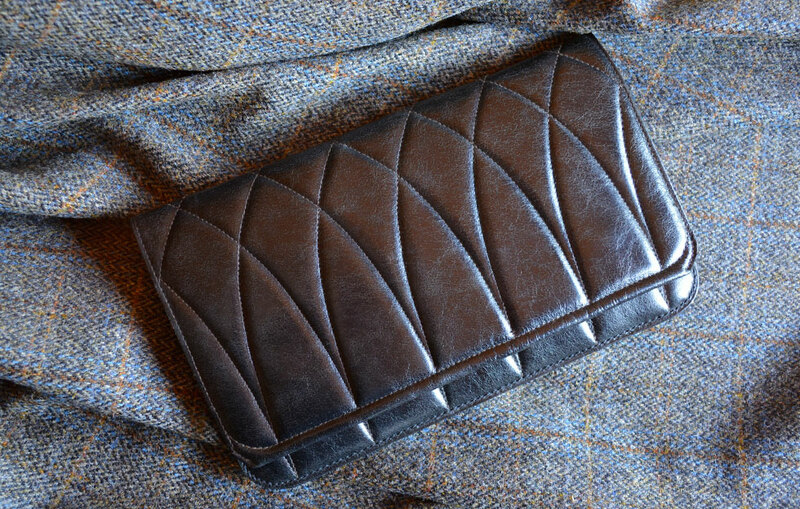 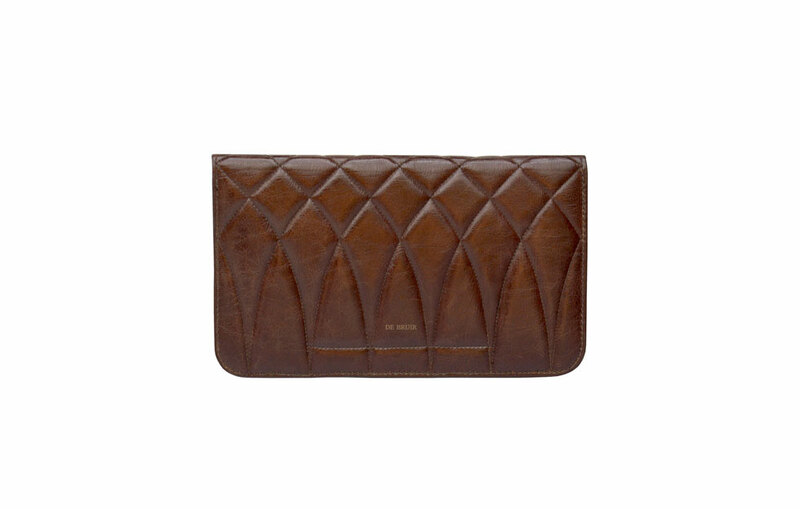 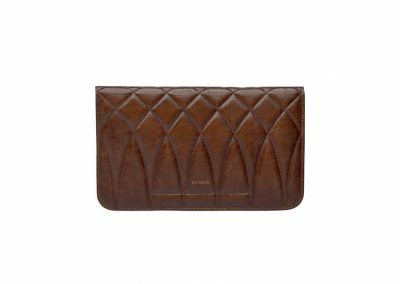 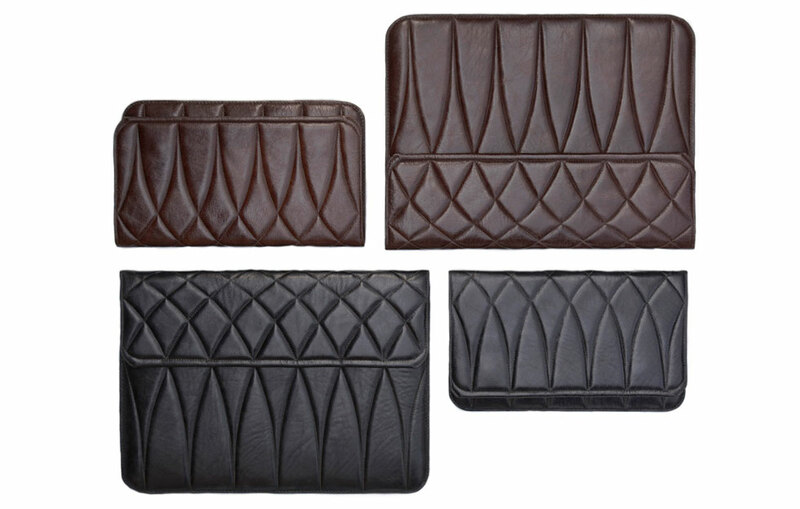 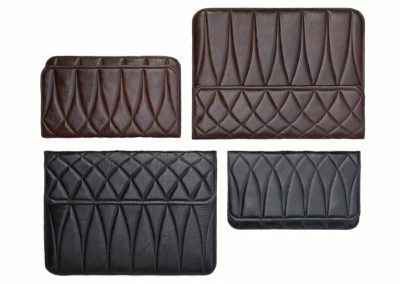 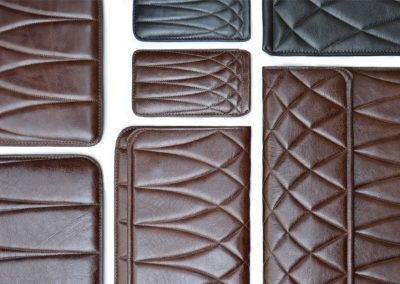 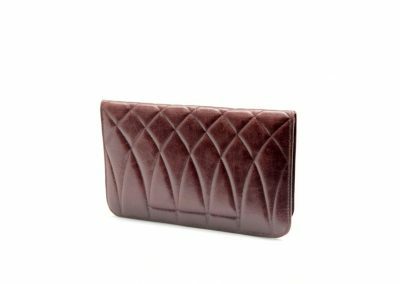 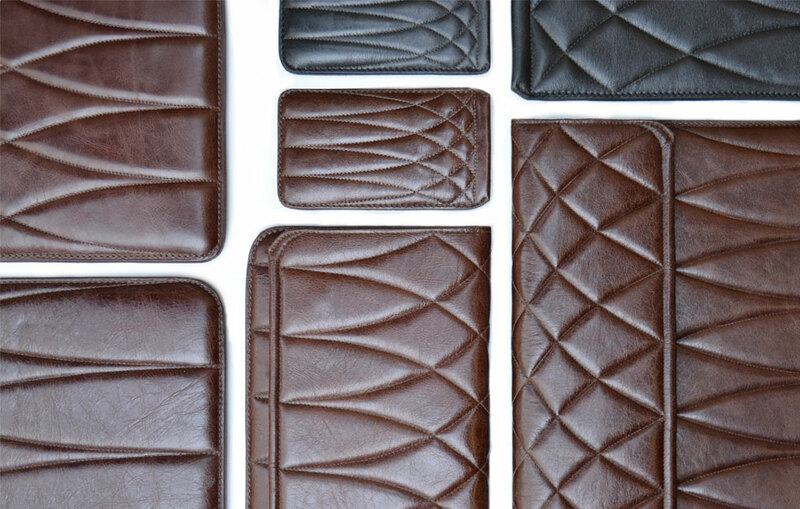 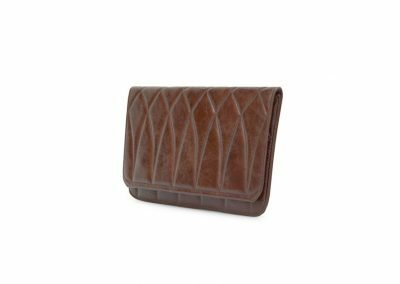 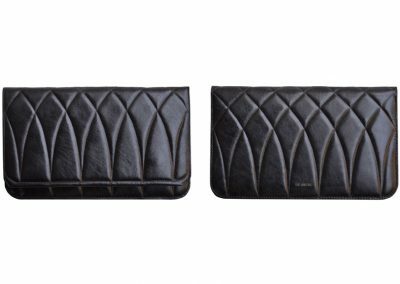 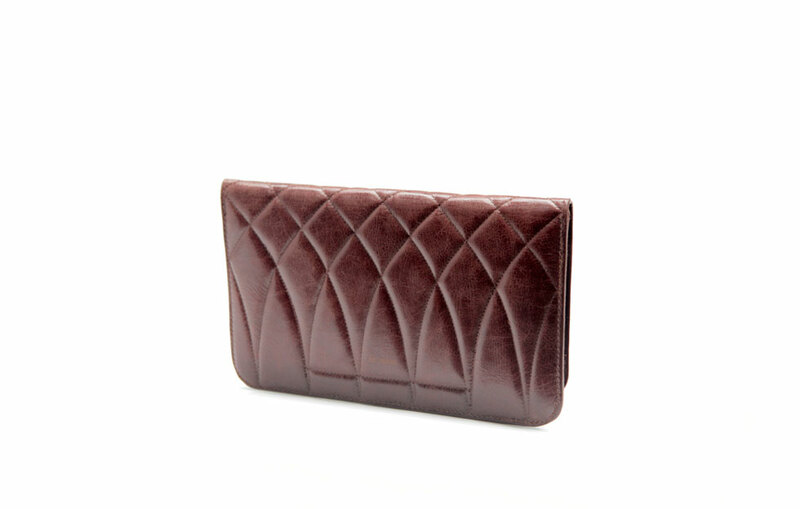 This Clutch is handmade with the same fine quality leather on the exterior and on the interior. 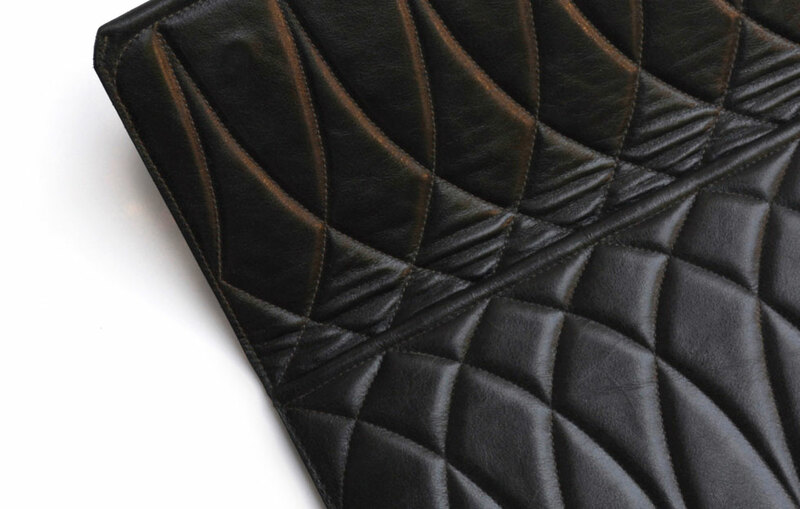 On closing the flap, hidden magnets embedded in the padded leather snap crisply together. 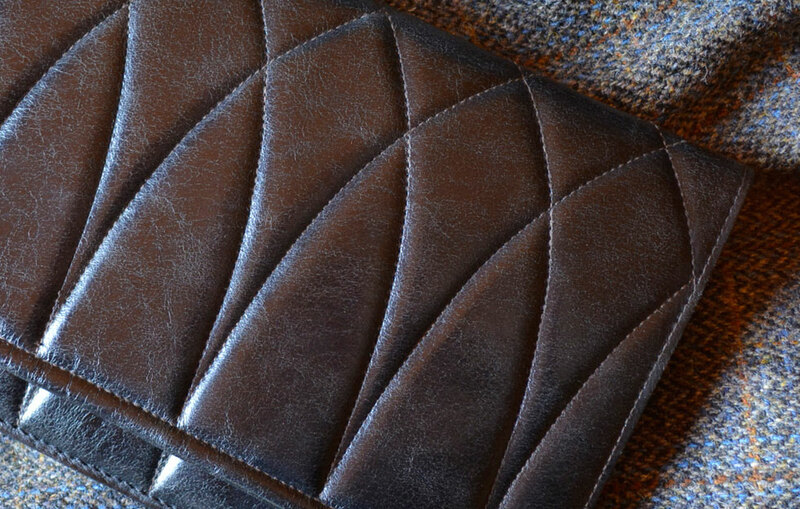 There is a slim pocket on the inside. 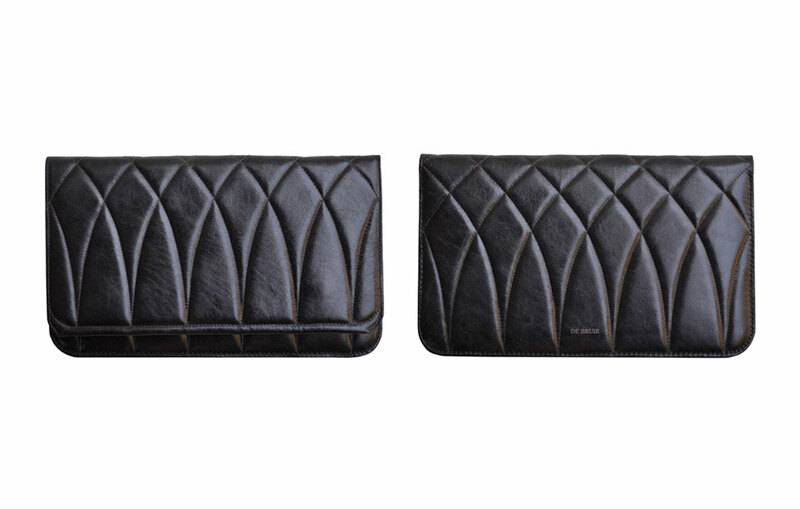 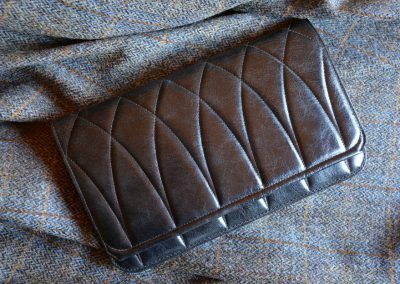 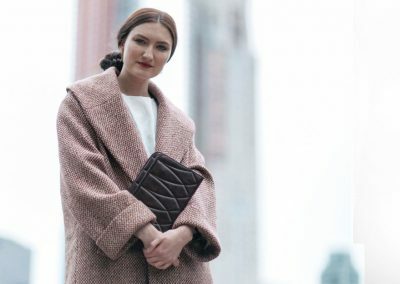 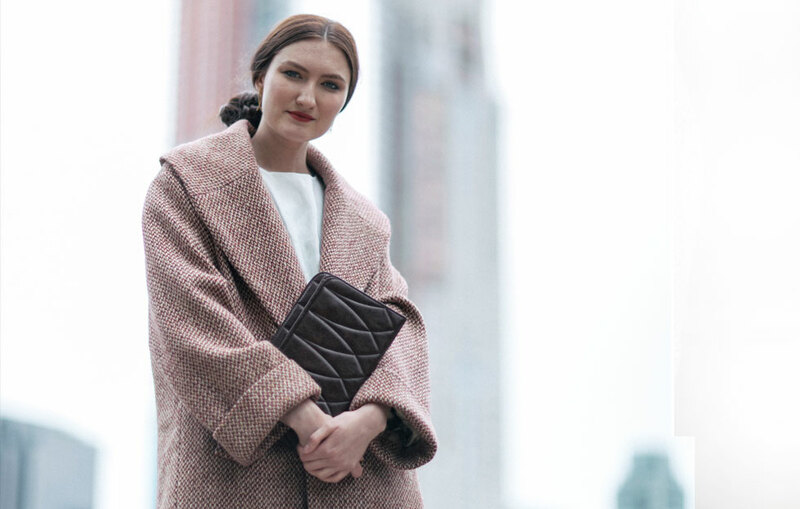 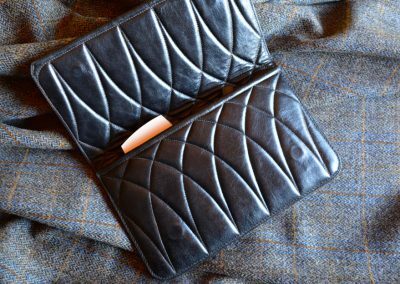 The Clutch bag presents a simple envelope design. 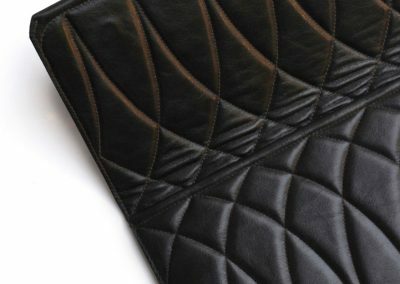 It features gentle sweeping arches in a luxurious padded leather. 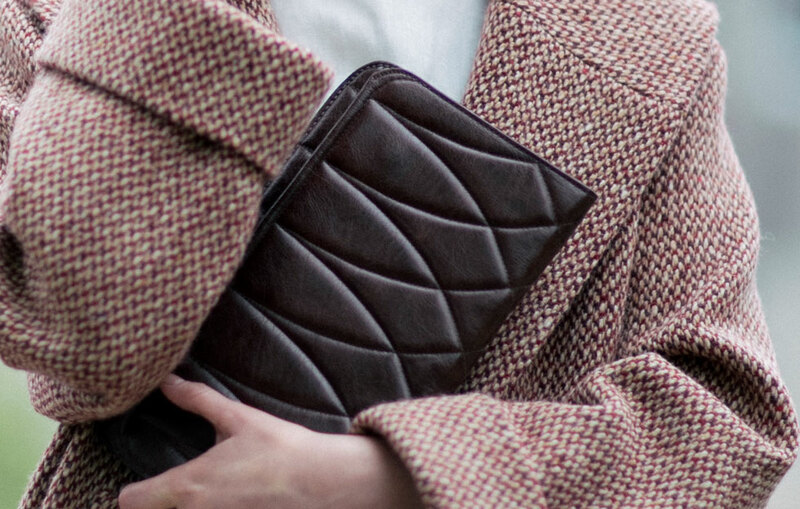 A stylish accessory that offers a timeless elegance.